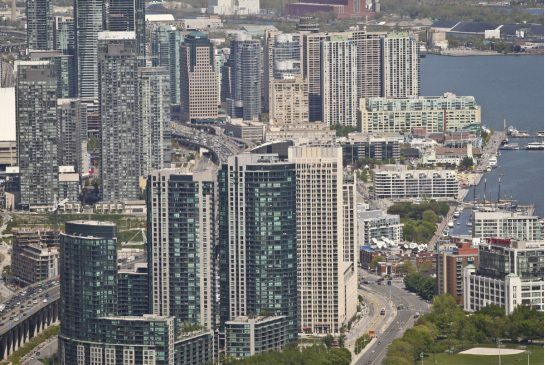 The Toronto Real Estate Board reported 8,223 condominium apartment sales between April and the end of June. This result was down by 8% compared to 8,942 sales reported in Q2 2016. New listings of condominium apartments were up slightly on a year-over-year basis by 0.7% to 13,682. Despite the recent dip in overall GTA home sales, the condo market was quite resilient, especially when compared to low-rise market segments. Condo sales accounted for a greater share of overall transactions during the spring compared to the same period last year. Market conditions also remained tight, which resulted in the continuation of strong annual rates of price growth. The average selling price for condominium apartments increased by 28.1% compared to Q2 2016. The average selling price for the TREB market area as a whole was $532,032, with the average price in the City of Toronto higher, at $566,513. Recent consumer survey results from Ipsos suggest that condos will continue to gain in popularity with home buyers over the next year. Many buyers (especially first-time buyers) looking to live in the City of Toronto, have turned their attention in increasing numbers to less expensive forms of ownership housing.